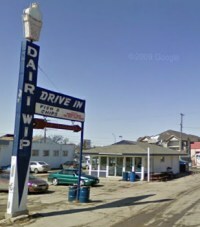 ﻿The question has been answered: Dairi-Wip beats Mrs. Mikes for the tastiest burger shack in St Boniface! 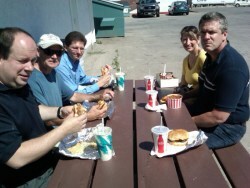 BurgerClub are committed and a sunny +44 humidex day wasn’t about to keep us from our burger quest. It’s a take-out shack and there were two nice clean picnic tables to dine at - but they were in the full sun sheltered from any breeze. Cary actually jumped up when he sat down on the bench because it was so hot. Even Tina said “Sitting in the hot sun was a little warmer than I prefer” and she’s normally comfortable on the surface of Mercury. We were all somewhat delirious from sitting in the hot sun, and Brett had this to say on his comment slip “Chili drenched bun mountain waterslides.” I don’t know what it means but I think it’s important. We also learned that “Pamplemousse is French for grapefruit!! !” This was after Cary noticed the beer store across the parking lot and went and got a 4-pack of tasty beverages for the table to share. About the same time Tina saw someone coming out of the back door of the Marion Hotel and said “Hey - I’ve been there!” Why she recognized the back of the hotel and not the front was a topic of great discussion. I was putting on the grumpy face cause I had to go "bunless". No one's fault but my own. 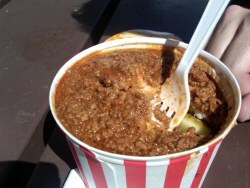 Then I found a bun in my chili . . . again, no one's fault but my own assuming it would not be there. I seem to be at fault a lot . . . This is easily my favourite burger joint in town. I remember high school and going for Greek's; we never knew it as Dairi-Wip, it's just Greeks for the old Greek fellow who ran the place. We were such faithful Greeks eaters that we treated it like currency. We payed each other back (money, services, anything!) 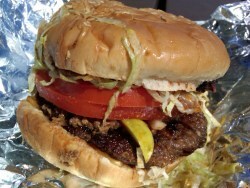 in Greek's Fatboys! My husband and I started going to The Whip on a regular basis since we started dating (back in 1975). 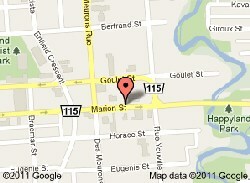 The burgers and fries have remained consistent ... the best in Winnipeg!!! I used to live in the area and would go for some chips n chili and a fat boy all the time in the 70s with my girlfriend. Best fries in town! 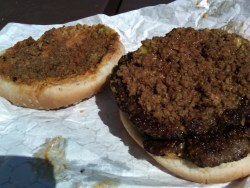 Went for the first time today - looking for the "best" burger in Winnipeg. What a disappointment! Messy, cold bun - couldn't finish it! At least the fries were decent. We'll make our own decision on the best" still looking. One of the prime reasons to come back home....fatboys and chips n chili. Hands down, the best place in the Peg.